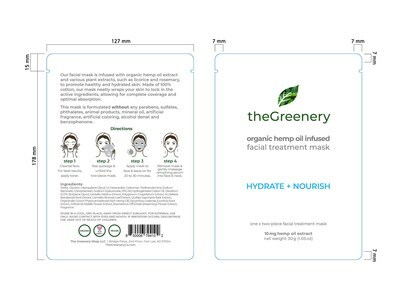 FORT LEE, New Jersey, April 9, 2019 /PRNewswire/ -- GD Entertainment And Technology (OTC: GDET) ("GDET" or the "Company") today released the packaging images for its all new hemp derived CBD products. GDET recently launched a cannabis sector subsidiary called, "The Greenery." GDET will launch The Greenery CBD sales in conjunction with the annual 420 celebration, April 20, 2019. 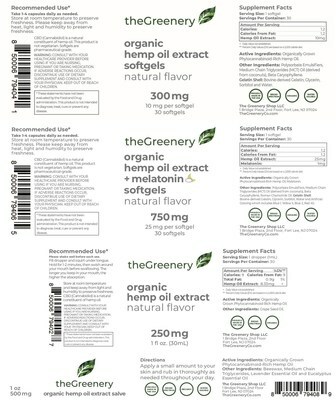 Today, within this press release, GDET has published the images of the labels that will be on The Greenery CBD products. These products will be for sale on GDET's own Ecommerce site, www.thegreeneryco.com and on additional Ecommerce sites. GDET plans to announce additional sales venues between now and the 420 official launch. Among other sales venues, GDET is in discussions with North American Cannabis Holdings, Inc. (USOTC: USMJ) to have The Greenery CBD products available at USMJ.com. GD Entertainment & Technology, also known as GDET, focuses on high rowth industries to fulfill a diverse selection of premium products nationwide. The company currently manufactures, wholesales, and markets a portfolio of blockchain/financial service-based products. GDET strives to become one of the premier Cryptocurrency mining facilities that is client-focused and dedicated to creating a new standard in the Blockchain space based on security and transparency. GDET has also developed a strong relationship with suppliers worldwide to ensure future purchasing. The company currently has two subsidiaries, DreamCard and HyperDigital Technologies, which both offer a selection of transactional-based products and services. DreamCard allows users to create a customizable debit or credit card using its state of the art online platform. HyperDigital Technologies is the Cryptocurrency ATM sector of GDET and aims to secure multiple MSB, money services business, licenses in order to host ATM units throughout the country.